DIGS! 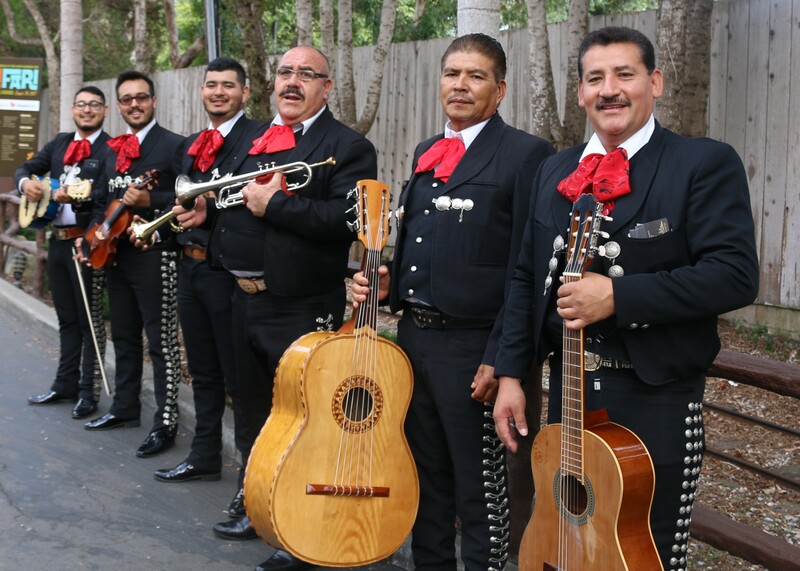 (Celebration de los Dignatarios) began on the ground of the Santa Barbara Zoo where hot live music, amazing tastes from local restaurants and a bevy of cool and delicious sips were enjoyed. DJ Hecktik sounds were danced to by fun loving guests, including Father Larry, and guests donning their finest Old Spanish Days garb. Fess Parker Double Tree Resort generously offered trolley rides to and from DIGS!, and everyone seemed to love arriving in a Santa Barbara trolley. My driver was a very entertaining guy, and it was beyond nice not to have to hassle trying to find a parking space in or near the zoo. Anyone who is anyone in Santa Barbara attends DIGS! in the Zoo which has been considered the best party of Fiesta, and attracts a who's who of Santa Barbara VIPs and elite. Among the VIPs attending were Hal Conklin, Bill MacFadyen, Mayor Helene Schneider, Councilwoman Cathy Morilla, Das Williams, Chief of Police Lori Luhnow, Joe Buttitta & Kelsey Gerckens KEYT3, Franciscan Fathers from Old Santa Barbara Mission, an army of area residents, media and so many more. 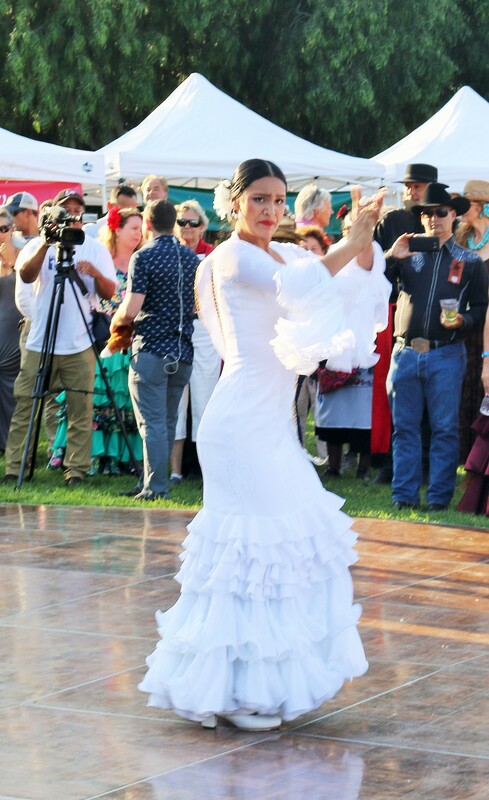 Spirit of Fiesta Norma Escarcega gave a brilliant dance performance that delighted hundreds of guests. So many of my favorite food purveyors were serving tastes including Chuck's Waterfront Grill, Via Maestra 42, Ca Dario, Farmer Boy, Loquita, Santa Barbara Zoo Catering, Brophy Bros., Santa Barbara Catering and so many more. 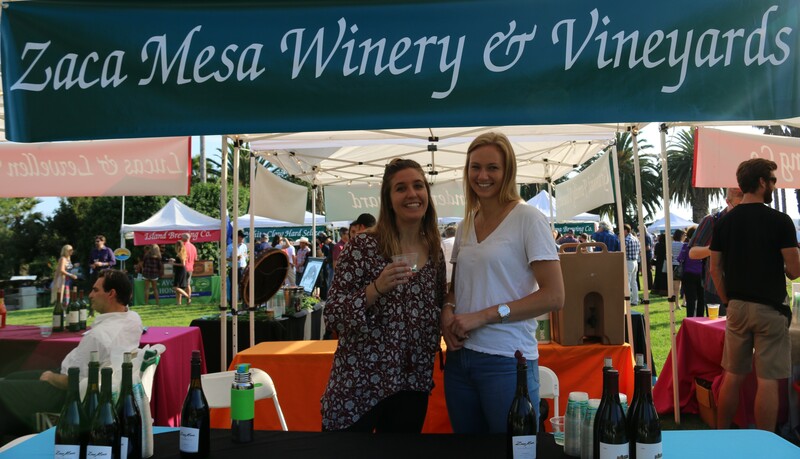 Liquor was flowing from Tequila coolers to lovely wine sips from Zaka Mesa, Lucas and Lewellen Wines, Beckman Wines and more. A new product delighting guests that can't eat ice cream was Reveri, a nondairy iced dessert. My personal favorite was a Louisiana gumbo served up by The Palace Grill. For a complete list of sponsors please visit: www.sbfiesta.org. It was yet another fabulous Old Spanish Days DIGS! At the Santa Barbara Zoo and a good time was had by all! Viva La Fiesta! The 15th Annual William Sansum Diabetes Center Taste of the Vine & Auction was held at the QAD facility, overlooking the picturesque bluffs of Summerland. The afternoon opened with a VIP reception on the balcony, followed by a welcome from Ellen Goodstein, Executive Director. “Here at William Sansum Diabetes Center we are working hard to stem the tide of this terrible disease, but we need your help,” said Goodman. The William Sansum Diabetes Center is dedicated to the prevention, treatment and cure of diabetes through research, education and care. A silent auction and tasting was enjoyed to the sounds of special performer Jackson Gillies, winner of the 2016 Santa Barbara Teen Star competition. The live auction, which included a Tuscany Culinary Escape, Ireland adventure, Costa Rica Getaway, Platinum SBIFF Passes, stay at a Mammoth Condo and a respite in the Montecito Orchard Oasis, and more is always the high spot of this annual event. Celebrity Chef & host of Reversed Charles Mattocks, nephew of reggae legend Bob Marley, was sharing details on his own struggle with Diabetes II, and describing the recipes he is demonstrating on his first ever reality show on diabetes to premier on the Discovery Life Channel. Delicious tastes from Loquita, Via Maestra 42, Santa Barbara Personal Chef, Taco Tuyo, Max's, Outback Steak House, The Berry Man, and more provided gourmet samples paired with sips from fine vintners and breweries including Riverbend, Sanger Wines, Santa Barbara Winery, Silver Wines, Smashberry Wine, Cambria Winery, De Paola Wine, Giessinger Wine, Jaffurs Wine along with Telegraph Brewing, Island Brewery, Cutlers Artisan Spirits, Draughtsman Ale, and HiWi Fusion who all graciously supported the 2017 Taste of the Vine event. Local politico's including mingled with a mileau of media and sponsors including representatives from Robobank, Montecito Bank & Trust, Santa Ynez Band of Chumash Indians Foundation, Union Bank, Anchor Point IT Solutions, Boyd Communication, Cottage Health System, The Mosher Foundation, First Republic Wealth Management, Northern Trust Bank and countless additional friends and supporters of William Sansum Diabetes Clinic. It was yet another amazing afternoon on the QAD to support this worthy cause. For information or to make a donation to William Samsum Diabetes Center please visit www.sansum.org. Saturday, October 7, 2017 at 2:00 p.m.
We are returning to the historic Dos Pueblos Ranch for our 16th annual fundraiser. Our Women’s Auxiliary is hosting this benefit that will honor Denny Wayman with the Léni Fé Bland award. There will be a magnifique silent auction, festive music by The Idiomatiques, and a crème de la crème banquet prepared by Lorraine Lim Catering. You can purchase your tickets online by clicking here, or please contact Rebecca rweber@sbrm.org or 805.966.1316 ext. 105 for more information.